Due to our outstanding, high quality components problems rarely occur with our computer systems. Blue Aura Computers offers an outstanding shipping warranty for the first 30 days of ownership, during which time we will pay for shipping in BOTH DIRECTIONS when we determine it is necessary for the customer to return the item back for repair - lower 48 continental U.S. States only. We use UPS for all return shipments. Once the return has been authorized, we will email a UPS Ground label. 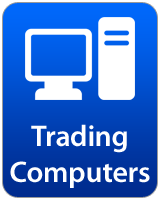 After the first 30 days of ownership the customer is responsible for shipping costs to our Blue Aura Computers repair facility, and we will return your computer to you via UPS Ground (free of charge). If faster shipping service is desired, you may elect to pay for an upgrade to a faster method once the repair is complete. This shipping warranty is not included with orders picked up locally or with orders shipped to Canada, Hawaii or Alaska. Blue Aura Computers protects all of our customers against defects in workmanship or materials during the duration of the warranty period. 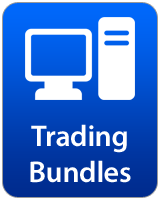 The standard warranty duration for a computer system purchased on our website is one year on all parts and three years core component through the product manufacturer which includes the system motherboard and power supply. During the first year of ownership we will replace any component in the system free of charge. For the remaining 2 years the motherboard and power supply only will be covered under warranty through the motherboard manufacturer and power supply manufacturer. Blue Aura Computers does not warranty processor or motherboard damage due to overclocking or modification of the system BIOS that results in physical damage to the CPU. For the ower 48 continental states - within the first 30 days of ownership we will provide a shipping label for an RMA request (lower 48 states only.) After the first 30 days customers must pay for return shipping charges on any RMA repair request. Due to high shipping costs, we do not cover shipping charges for warranty claims to Hawaii and Alaska. Buyer must pay for all shipping charges both ways on warranty RMA repair work. Blue Aura Computers has a fast and efficient computer repair process. All returns for repair or refund must be pre-approved by Blue Aura Computers and the customer must have a valid RMA number issued by us. All RMA numbers must be written on two or more sides of the outside of the shipping packaging. Our warranty service covers computers purchased by customers in the United States only. Blue Aura Computers is proud to be able to offer our PCs to Canadian customers, but the high costs of shipping mean that we can only offer our warranty coverage to U.S. customers. Warranty service begins upon the customers receipt of the computer system. Product warranty & tech support service covers only those products purchased from and installed by Blue Aura Computers. Our technicians will provide hardware and basic Operating System software support to resolve issues that may arise. Neither telephone technical support nor warranty includes software training or support. Blue Aura Computers warrants to the original purchaser that any part of the hardware system, excluding software, documentation and similar items, will be free of defects in workmanship and materials for the first full year starting from the date of purchase. During the warranty period, Blue Aura Computers will repair or replace (at its sole discretion) components deemed to be defective free of charge for labor and/or parts within the warranty period duration. Depending on our current inventory parts may not be the same but will be equivalent parts. If the hardware is defective within the first 30 days (30 calendar days after the date of delivery) Blue Aura Computers will cover all the costs of shipping the item back (excluding Hawaii and Alaska). Blue Aura Computers will not be held responsible for shipping costs after 30 days of ownership, the customer will be responsible for shipping the item to us and we will be responsible for shipping the item back. Due to high shipping costs, we do not cover shipping charges for warranty claims to Hawaii and Alaska. Buyer must pay for all shipping charges both ways on warranty RMA repair work. Any additional purchases, upgrades or repairs will not extend this warranty. Excluded from this warranty is any damage caused during shipment and any damage caused by: impacts, fluids, fire, flood, wind, earthquake, lightning or similar disaster; unauthorized modifications, attachments or peripherals, improper use, environment, installation or electrical supply; improper maintenance; any other misuse, abuse, or mishandling. Defective components will be replaced directly from Blue Aura Computers inventory for the 1st year of the warranty duration. 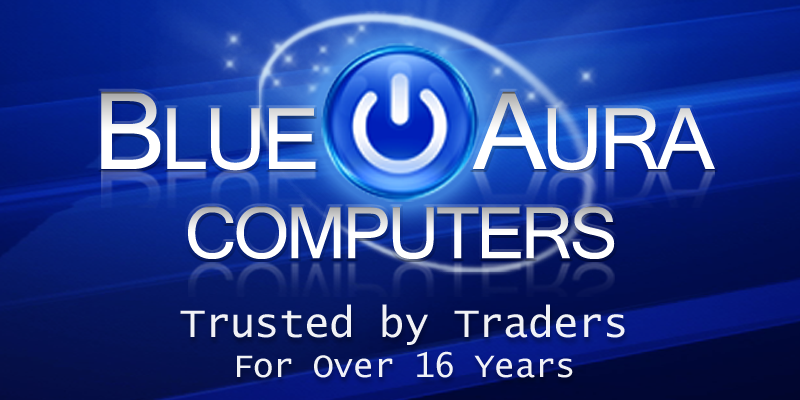 After the first year, Blue Aura Computers will replace any defective motherboard or power supply via the hardware manufacturer. Items & accessories such as: Monitors, Keyboards, Mice, Speakers & UPS Power Backups are covered by the manufacturer's warranty & are serviced through their respected manufacturers only. The computer must be shipped back in a similar manner to which it was received, please read the "Packaging Guidelines" section below for more information. Customers will not be charged for any repairs during the warranty period for approved RMAs. In general we usually require the entire computer to be shipped back to us for warranty repair. Due to the complex nature of some hardware problems, some problems cannot be diagnosed by telephone and we will require the product be returned to the Blue Aura Computers repair facility for further diagnosis and repairs. Under NO circumstance will Blue Aura Computers dispatch a field technician for on-site diagnosis or repairs. Blue Aura Computers packaging methods are far superior to most of our competition, we use double-boxing and electrostatic packaging to prevent any shipping damage. Products returned to us for repair or refund must be packaged in a similar manner that the customer originally received them. Blue Aura Computers is not responsible for damage that occurs when a customer returns a system, we strongly recommend that you insure the shipment through the shipping company for the value of the original purchase price. All shipments must have an RMA number clearly written on the outside of the shipping box, if there is not an RMA number on the box we will refuse the shipment. Proof of purchase is required to obtain warranty service, please send with a copy of the original order receipt. We can't stress enough the importance of proper packaging. The majority of shipping damage occurs when a customer improperly packages their product for shipment. We recommend that you save ALL boxes that originally came with your order, it is preferable that you ship us back the product in the exact same manner originally you received it. Computer systems sent to us for repair must include the "accessories" box that came with your system. This box must include all the original contents such as manuals, operating system discs, cables, driver discs, adapters, etc. Blue Aura Computers has very fast order processing, we immediately begin processing an order as soon as the payment has been received and cleared. We will make every effort possible to get your order shipped out in a timely manner. The majority of our orders ship out 3 to 5 business days after payment has cleared and the order has been approved. If there are any unexpected delays in the processing of your order we will call or email you to explain the why there is a delay. Blue Aura Computers reserves the right to cancel an order or refuse an order at any time for any reason. A lot of time, testing and labor go into a custom built computer system and we begin processing each order as soon as they are placed, so if you need to modify or change an order that has recently been placed please do so promptly. Orders shipped to Canada will ship out 7 to 10 business days after the payment has been cleared and the order has been approved. Since we do not provide a product warranty to any of the systems shipped to Canada we test the systems an additional 5 days prior to shipping them out. Due to high shipping costs, we do not provide a warranty on orders shipped to Canada. Orders shipped to Canada will ship out 7 to 10 business days after the payment has been cleared and the order has been approved. Since we do not provide a product warranty to any of the systems shipped to Canada we test the systems an additional 5 days prior to shipping them out. Due to the high shipping costs, we do not sell monitors, monitor stands, speakers or ups power backups to Canadian customers (please do not select these items or your order will not be processed) - we recommend you source these items locally. Canadian customers can select any of our keyboards or mice to purchase along with their computer system. Blue Aura Computers is NOT responsible for international customs and/or duties for Canada - please check your local import fees before ordering. Blue Aura Computers will do our best to help Canadian customers with any problems that might arise, however, it is impossible for us to pay for shipping of components or an entire computer. Therefore, our obligation is limited to helping Canadian customers obtain an RMA from component manufacturers in your region and providing telephone technical support - we will do our best to help you install the component and resolve your issue. The 1 year warranty outlined on this page does not apply to orders shipped to Canada. We charge a flat $199 shipping charge to all orders shipped to Canada. This covers our standard box size of 22x22x14 weighing approximately 45lbs (weight can vary depending on components selected). Canadian customers must configure the system with our Cooler Master HAF 912 mid-tower case. PayPal Checkout provides us with buyer verification pertaining to each order. To prevent order cancellations or delays, we strongly recommend that your "billing address" and "shipping address" match. If the address you want your order "shipped to" differs from the billing address you provided to PayPal or your order may not be processed. Blue Aura Computers reserves the right to cancel any order at any time for any reason. Order cancellations will typically only occur if PayPal Checkout flags an order as potentially unsafe. We require that the shipping address provided to us by PayPal be "Confirmed". If you need your order to be shipped to an address different from your billing address you must contact your credit card company to add an authorized alternate address, this must be done prior to placing an order through Blue Aura Computers. Blue Aura Computers is not liable for damages or costs resulting from accidents, misuse, disaster or abuse of your computer. Upgrades, repairs, modifications, overclocking, BIOS or firmware updates made to your system by anyone other than Blue Aura Computers will void your warranty unless otherwise approved. Blue Aura Computers is not liable or responsible for any financial losses (including lost profits or income, lost time or labor, or lost data), other losses or damage to any type of hardware/equipment, records, or data incurred from the use of or failure of any of our products. Blue Aura Computers is not liable or responsible for any claims against you for damages from a third party incurred from the use of or failure of any of our products. Blue Aura Computers is not liable or responsible for any type of personal injury incurred from the use of or failure of any of our products. If the customer sends a computer system back for repair services, Blue Aura Computers is not obligated to provide a replacement or loaner computer during the repair process. The terms & conditions stated in this document are only valid and applicable to the original purchaser or the product. The terms & conditions stated in this document are non-transferable. 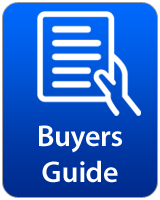 Warranty coverage on a product purchased through this website (blueauracomputers.com) is only valid and applicable to the original purchaser of the product (the customer named on the payment invoice). 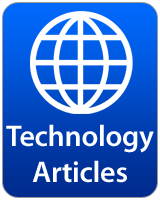 Copyright © 2006-2019 Blue Aura Computers (blueauracomputers.com) All Rights Reserved. No part of this website may be copied or reproduced without the express written consent of Blue Aura Computers. All other trademarked images or logos displayed on blueauracomputers.com are acknowledged as being the property of their respective owners.